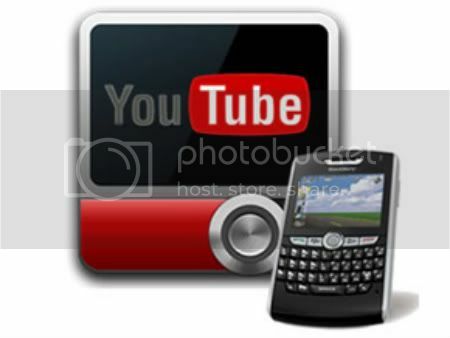 You can download an absolutely free YouTube player application for your phone! The YouTube players allows you to "browse, play, search, share and bookmark your favorite videos" all with a super easy user experience. I asked a group of fellow BBOS bloggers what some of their favorite applications were and I.C.E. kept coming up. If you aren't sure of what I.C.E. stands for, allow me to introduce you to the application used In Case of an Emergency. In the case you or someone you know cannot communicate the above information, the I.C.E. app allows medical and emergency professionals to get a hold of the information and people they need to best serve you. The only problem we've run into when using this application is it might be a tad bit hard for professionals to locate your I.C.E. information if you have a password on your phone, or worse, a PatternLock. Or in my case, both. Click here to check out more pics & discuss this application in the forums. So far, there aren't too many "name brand" applications built into the PlayBook like MySpace, Tumblr, FourSquare, Twitter, etc,. The application demo can be viewed at 2:55. Now that the PlayBook has launched, what are some of your thoughts? After Office Max officially announced that their nationwide stores would be carrying the BlackBerry PlayBook, Office Max has unleashed another round of PlayBook news; they are currently accepting all pre-orders for the tablet as early as today. The model that you can pre-order to day is the 16GB device starting at $499.99. It ships in just 1-3 days! Check out the full list of PlayBook features after the jump! Winner Selected For The LuxAddiction Giveaway! Congratulations, @Vecharo! You're the winner of our contest to win a 100% FREE and customized cell phone case for your BlackBerry from and LuxAddiction! We are looking forward to hosting even more contests like this and can't wait to share them with you. 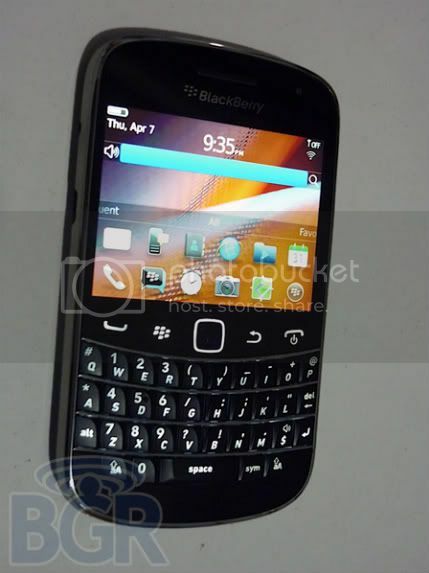 New Pics & Specs For The BlackBerry Bold Touch Have Surfaced! The BlackBerry Bold Touch is an interesting device; it looks like your standard BlackBerry but with a few upgrades. It's a full touchscreen device with a full QWERTY keyboard. So far it sounds just like the BlackBerry Torch except that the Bold is not a slider and unlike the Torch, comes equipped with BlackBerry's OS 6.1. Check out more pics and a full list of specs by clicking here. Although you can update all of your apps with a single click when you connect your BlackBerry to your computer, but you can't do it over the air. However, you will be able to soon! However, many BlackBerry users are aware that oftentimes updating even just a single application on your phone leaves the clock spinning on your homescreen for an undefined amount of time. Who knows what will happen if you're trying you update 10 apps at once? "The only problem with this feature is that App World still cripples your device when you update an application." With that being said, it's definitely a nifty feature if RIM can execute it and make it work well. HOT Review: Customized Phone Cases by LuxAddiction! Psst... I'm about to share a little secret from yours truly. There are a few websites out there that specialize in custom BlackBerry phone cases, but none like these. I know of one that decks BlackBerry cases out in an extravagant way, and get this, they're hand made and 100% customizable. Think "Pimp My Ride" except instead of a car it could be your phone. If you're a girl that likes to accessorize or a flamboyant kind of guy, just check these out. You won't be disappointed. They're gaudy, over the top, and that's why they're for the bold, wild and adventurous, and maybe even a little bit crazy! For those of you who fit the latter or know a BlackBerry addict that does, they might just be perfect! LuxAddiction hosts over 100 hundred different styles so if these don't tickle your fancy, there's sure to be something that will. The cases are expensive. However, it's relative compared to other swarovski cases that are sometimes $200 or more. With that in mind, these are a great price considering the customization and uniqueness. I only had problems with the small swarovski crystals. My first order took 5 weeks from order to delivery, my second order (review unit) took 3 weeks exactly. LuxAddiction makes these cases from swarovski crystals & other unique gems, beads, ornaments, etc,. The phone cases are surprisingly durable. I dropped mine and nothing came off. The company provides extra gems in case a few of yours fall off (From personal experience, I've only had 3 come off and I used my case daily). The cases are unique and completely customizable. LuxAddiction has good customer service via telephone, e-mail, or webchat. I recommend webchat over the telephone. If your phone model is not listed, you can still request one to be made as they will order the case that fits your phone and design. Click here to get entered in our Lux Addiction case giveaway! 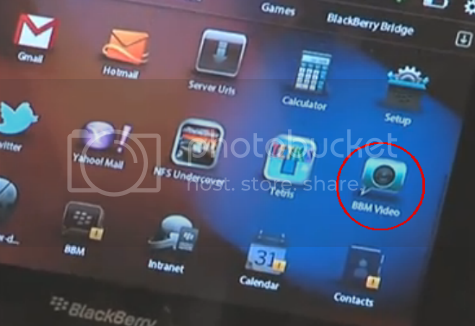 BBM Video Icon Spotted On PlayBook! The PlayBook and its upcoming release have been the source of rumors, excitement, speculation and surprise. In today's day and age of Skype and the iPhone, video calls and chats are becoming increasingly popular and let's face it, fun! One of the things that customers and critics alike have wanted to see on the PlayBook was a front-facing camera that would allow users to video chat with others. RIM is notorious for their leaks (or lack thereof) of information; up until now there was very little word about a video conference client other than the fact that there would be one. It's now safe to say that many tech-nerd dreams are coming true today as a leaked picture shows a BBM Video icon on the Rogers PlayBook that would allow for video chat!